Who cares! Navio is just one such a good entertainer! As simple as that. The Ugandan artist disorganized Kigali over the weekend during his performance at the rooftop of the city’s new complex, CHIC. The event which had only one artist set to perform -Navio from Uganda did not have a good turnout as expected with less that 100 people present. 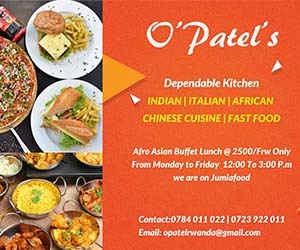 The organizers delayed Ugandan superstar’s performance as they hoped that more people would eventually come, which was not the case. Dj Miller was on decks and he played songs that kept people dancing as they waited for Navio’s performance. As much as the people weren’t many they were a good and energetic crowd. Navio who came on stage at 12:30 am was not impressed by the turnout but he appreciated each and everyone who came. “It doesn’t matter if I have 10,000 people or 25 people. I am still going to perform and have fun with my friends. ” Said Navio. Navio had a grand entrance as he came on stage with 2 Ugandan traditional dancers who woowed the crowd with their moves. He sang some of his famous songs and the crowd sang along. The event ended at 1:30 am. 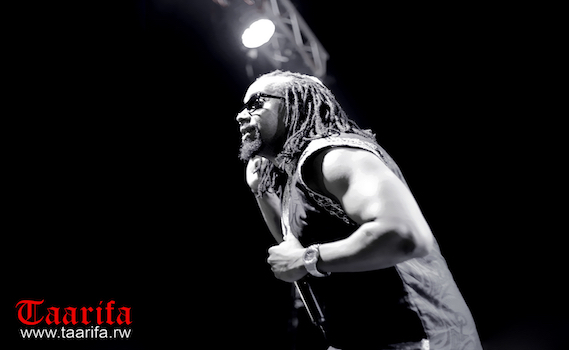 Our Photographer Pacific Himbaza sampled some of the moments during Navio’s gig. This was after capturing the Jazz concert at the Serena Hotel. All are sampled here below. The event had a good turn up. The audience came in slowly and by around 10pm most seats were occupied. The artists who performed were energetic and they interacted with the crowd.. There was a build up of the excitement from the first performance to the last. Neptunez band, who were the first on stage, harmonized their musical instruments to create a sweet melody that slowly eased the audience into the jazzy feel. The second act, Patrick Nyamitari jazzed the audience with his deep vocals. He performed most of his old songs and the audience sang a long to the ones they knew. He said that the jazz event was the first platform where he performed for a long time(1h 30mins) and he was determined to show the audience his creativity. The last act of the evening was the anticipated Mayonde Masya, from Kenya who was welcomed on stage with a loud applause. Her performance was quite powerful and the audience found themselves on their feet grooving to her sweet melody. She sang passionately and energetically. The event ended a few minutes after midnight and the organizer, Remy thanked everyone who came.